Snow Owl provides a variety of mapping methods for creating association mappings between different terminologies or external codes, codesystems. 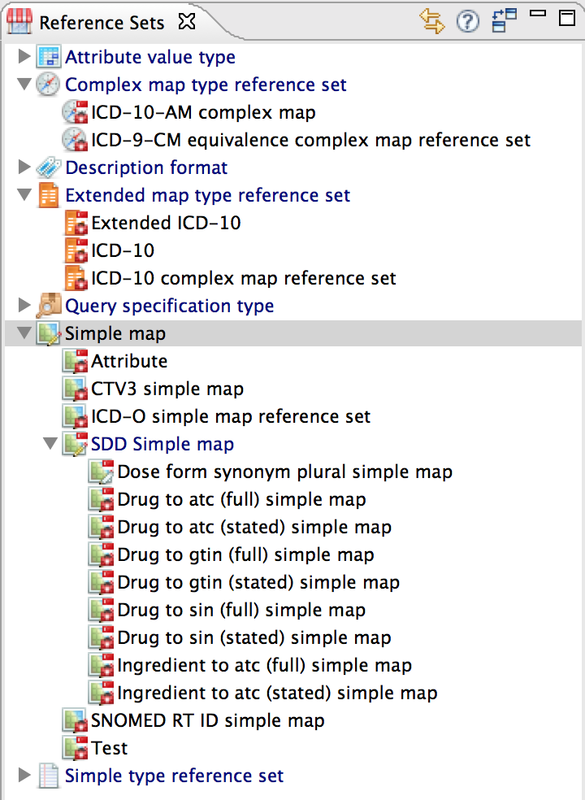 Simple, complex, and extended map type reference sets are organized in the Reference set view and can be opened by double-clicking. 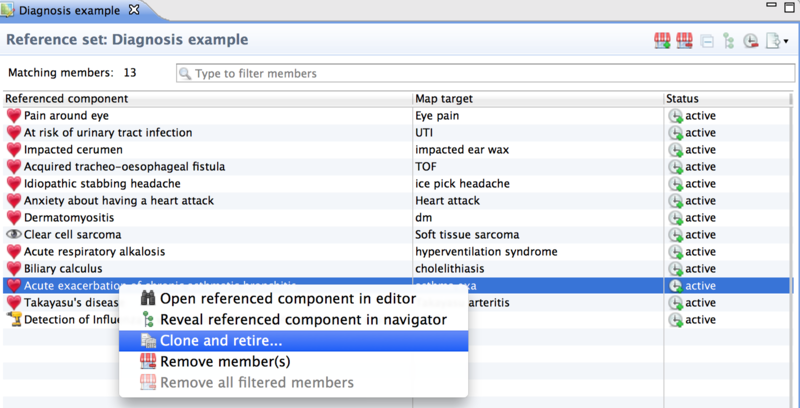 The editor is used to filter, review or make changes to the mapping (e.g. add members, inactivate members). The user interface of the editor changes, dependent on the type of map. 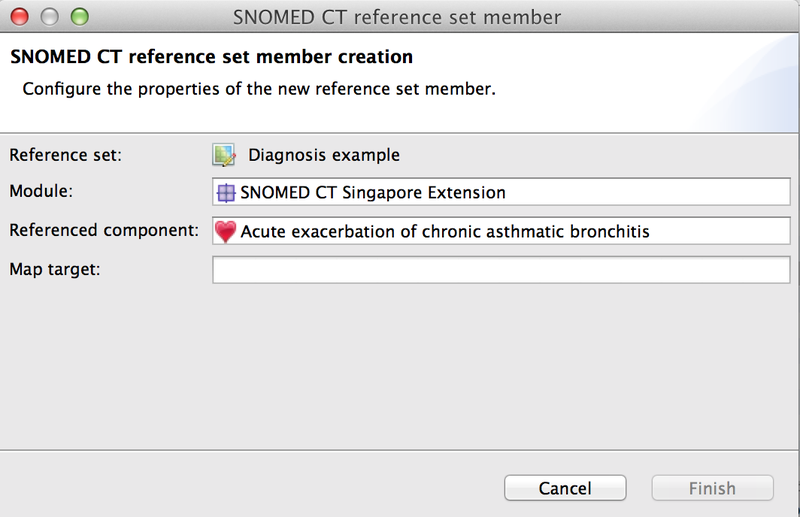 The information displayed can be customised in the Table Preferences (File > Preferences > Snow Owl > Editor Tables > Reference set editor). Right-clicking on one of the column header also brings up the Table Preferences. The wizard for creating new map type reference sets can be started from the toolbar buttons in the main menu. Please refer to the corresponding sections for further details. Inactivation: Inactivating a mapping will keep it in the database with the status: inactive. This action should be used when a versioned mapping becomes deprecated but cannot be deleted. Inactivation can also be used for unversioned mappings, for example if they are likely to be activated in the future. Deletion: Deletion removes the member from the database and cannot be undone. To delete a mapping, right-click on it and select Remove member(s) from the context menu. You can also select the mapping and use the button in the toolbar to delete it. Please keep in mind that this will only delete the selected mapping (in the map type reference set), not the referenced concepts. However, if one of the referenced components of a mapping is deleted, the associated mapping will be automatically deleted as well. It's not possible to have a mapping with deleted components. Only unversioned mappings can be deleted. Hovering over a mapping displays a tooltip that shows the effective time. For unversioned members the Effective time is displayed as Unpublished. If you are trying to delete a versioned component, a message will inform you that this is invalid and that you can only inactivate the mapping. 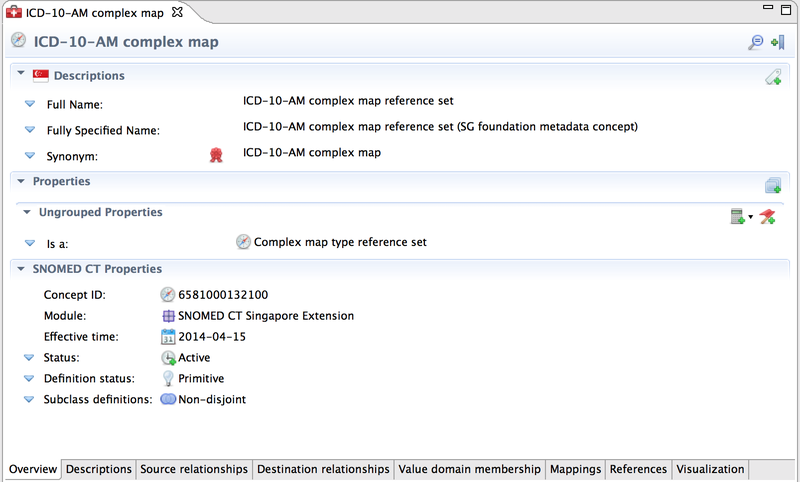 The Clone and retire function inactivates a mapping and creates a new mapping with the same referenced component. This is useful if you want to change a mapping that has already been versioned, because you only need to define the new target. The function is available for all map type reference sets. Right-click on the mapping that you want to change, and select Clone and Retire from the context menu. A clone of the mapping with the same referenced component is now available in the wizard. Select the new map target and Finish. Note: To inactivate a mapping completely, change its status from active to inactive in the editor, and Save. To delete an entire map type reference set with all its members, right-click on the reference set in the view and select Delete reference set. Click Finish to confirm the deletion plan. This action is only possible for unversioned map type reference sets. Once a reference set has been versioned, you can only inactivate it. To inactivate a map type reference set, you need to open the concept for the reference set in the editor (see screenshot) and set the status to inactive. You can open the concept editor by typing the concept ID in the quick search.